While most American track stars don’t travel to Europe until after college, Jasmin Stowers got her start there. Born into a military family stationed in Germany, Jasmin didn’t arrive in the US until she was 2, moving frequently around the country until the family settled in Pendleton, SC. There, Jasmin started sprinting in age-group track when she was 8, before shifting to the hurdles when she was 11. The barriers proved to be, well, no barrier as Jasmin soon found herself a Junior Olympic finalist and eventually, a three-time South Carolina state high school champion in both the100-meter hurdles and 400-meter hurdles. Along the way, she also won two Nike Outdoor National titles and placed fourth at the IAAF World Youth Championships in 2007. At Louisiana State University, Jasmin also took her academics as seriously as her athletics. Majoring in Nutritional Science, she applied for an internship that would have taken her away from the track team her senior year. The internship didn’t pan out, but the track season certainly did: Jasmin scored major points for the LSU Tigers with her runner-up finish at the NCAA Championships, the best placing of her career. 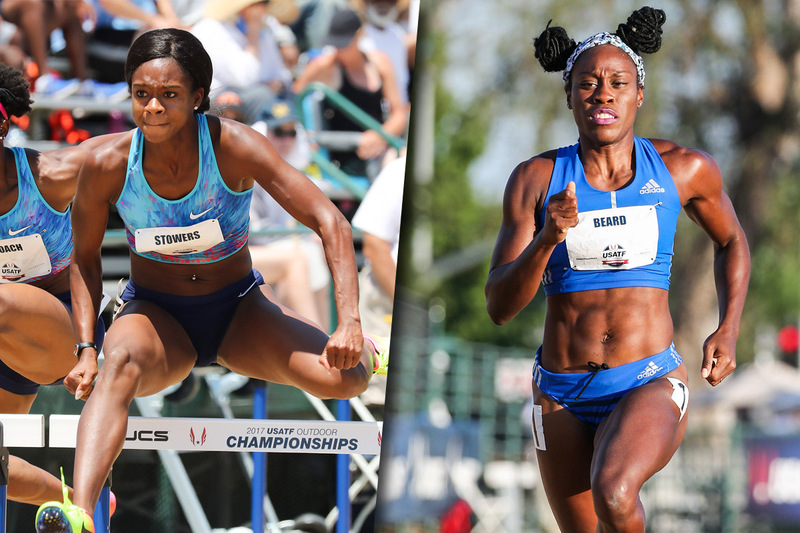 Two weeks after the NCAAs, she finished fourth at the USATF Outdoor Championships. As good as Jasmin’s prep and collegiate careers were, her professional career has started with nothing short of fireworks. In March 2015, Jasmin won her first U.S. title, taking the 60-meter hurdles at the USATF Indoor Championships in Boston. The following month, she defeated a stellar field at the Drake Relays in 12.40 seconds, far and away the fastest time in the world—until she broke it two weeks later in Jamaica, and then again in Doha, where her 12.35 victory made her the seventh-fastest woman in history. When Jasmin isn’t clearing barriers on the track, she loves putting her Nutritional Sciences degree to good use in the kitchen, making delicious, healthy meals that satisfy both her hunger and her dietary needs as a world-class athlete. And despite the many years she has spent working on her cooking repertoire in Baton Rouge, she is still quick to say “no” to crawfish.